Motorhome insurance is essential for any motorhome owner. 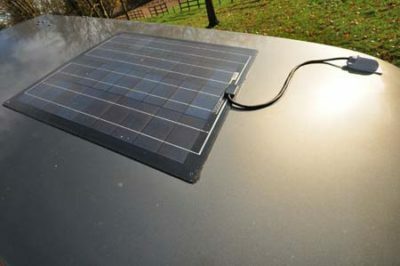 As well as being a legal requirement it will also give you that extra peace of mind that your pride and joy will be protected when touring, on a campsite, at home or in storage. It’s also vital that if you make any changes to things such as your security, storage, home address or you add new equipment or make any modifications to your motorhome that you let your insurance company know so your insurance remains valid. Like many motorhome insurers, here at Caravan Guard we offer discounts for a variety of security devices, such as Thatcham Cat 1 alarms, immobilisers, approved motorhome trackers and tyre safety devices. So, if you decide to add one of these to beef up your security and tyre safety, contact your insurer as you might get a discount on your premium. 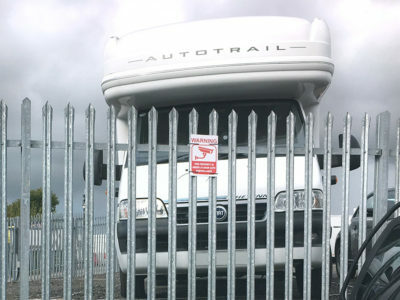 Some high value motorhomes will need a certain level of security as a minimum. If an existing security device stops working or gets damaged, make sure you replace it straight away or let your insurer know as it could affect your premium and level of insurance cover. When you take out your insurance policy, your declared security devices are listed on your schedule, so it’s important to tell your insurer if they change. 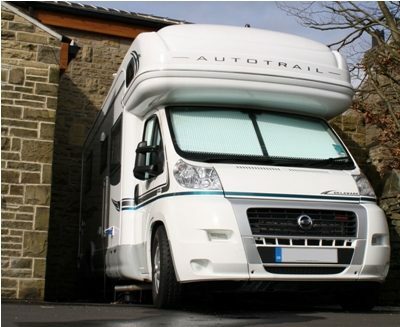 If you’ve taken the plunge to invest in some new equipment fixed onto your motorhome, such as a fixed awning, solar panel , towbar or reversing camera, then inform your insurer so they can increase your sums insured value and make sure the new kit is fully covered in the event of any damage or if they’re stolen. Caravan Guard policyholders receive cover for up to £5,000 of portable non fixed equipment and personal possessions, such as free standing awnings, barbecues, generators, gas bottles and clothes. 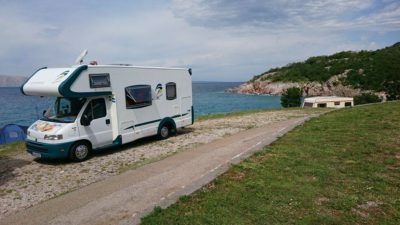 Similarly, if you make any modifications to your motorhome, like engine remapping, chipping, or adding alloy wheels, then it’s vital that you tell your insurance provider. At Caravan Guard we’re quite flexible when it comes to motorhome modifications although some might be unacceptable. 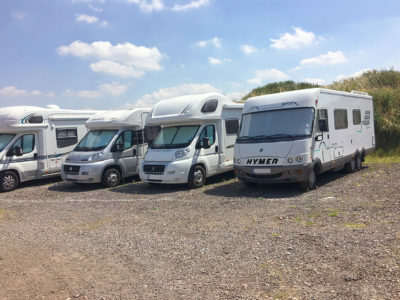 There could be a slight increase in your premium to reflect the added value of the modification to your vehicle but if your motorhome is damaged or stolen, and a particular modification is not listed, you might not be covered in the event of a claim. If you store your motorhome at your home, the postcode of your home and any storage security features will likely influence the price of your motorhome insurance premium. So, if you move home your insurer will need to be informed as your new address might be classed as a lower or higher risk area, or the security at your new home address might be different. For example you might have had locked gates at your old home but not at your new home. Your insurer will also want to know your new address to make sure they can remind you when it’s time to renew your cover! Remember, storing your motorhome at home means that it need to be stored on your property (for example on your driveway) and not the road outside your home. We do not provide insurance cover if the motorhome is stored on the road. If you keep your motorhome away from home, for example at a secure storage facility, it’s also important to let your insurance company know if you change storage location, as they’ll want to make sure they can still provide cover for the new location. Moving your motorhome to a storage location that’s not listed on your policy, could void your motorhome cover. We’d also want to know if there’s a change to the security at your motorhome storage site, such as if your secure storage site no longer has 24 hour CCTV. But obviously, you don’t have to let us know each time you go on holiday, as long as you’re staying in the motorhome! 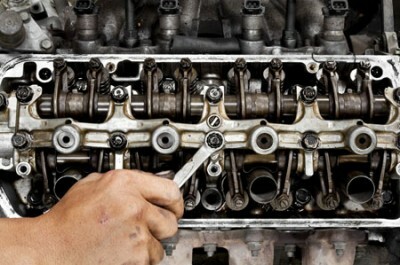 You might decide to buy a newer or older motorhome part way through your policy term. If you do, then contact your insurance provider so your sums insured and value of the motorhome are accurate and up-to-date, and to make sure you have the right level of security fitted. At Caravan Guard, as long as you tell us about the change in advance we’ll make sure both the old and new motorhomes are covered on the day of the swap over. With Caravan Guard motorhome insurance you can choose whether or not to include European insurance and breakdown cover. This optional cover gives you the freedom to take trips abroad for up to nine months within the policy year. But if you specifically chose not to add this cover when you bought your policy and then later decide to travel abroad you’ll need to call and add European cover to your policy so you’re fully insured should you have an accident in Europe. If you’re unsure what cover you have, please refer to your policy schedule. If you’re unfortunate enough to have had a driving conviction or a motor claim then let us know so we can update your policy record. Similarly, it’s important to let us know if you receive a criminal conviction. Your insurance policy is a 12 month contract and here at Caravan Guard we do offer a 14-day money back refund from the start date, to give you time to check all the policy details are correct. If you want to make any changes after this time then a small administration fee will apply. While this is standard for most insurance companies, at Caravan Guard we try to make sure our fees are some of the lowest in the market. We also urge our customers to read their documentation carefully so you can understand exactly what your policy provides and what you are covered for. Not advising your insurance provider of changes could invalidate your policy and any future claims, so it’s always worth making a call to make sure everything is logged, no matter how small the change. Not only do I park on my driveway but I also padlock the driveway gates, I find the insurance company like this idea. The rest of your article is mostly common sense but of course there will always be those who need a little reminder. This article does the trick.